Our open top kegs are manufactured by two leading plastic packaging specialists who adhere to stringent quality control standards. 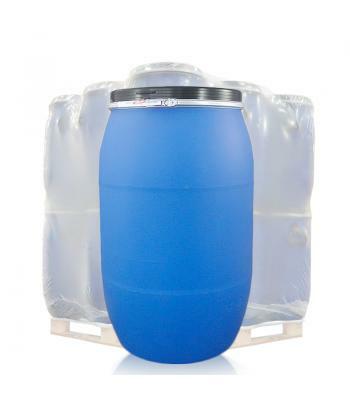 Open top kegs have wide neck openings, for the easy filling and dispensing of solid materials. The kegs are made from extrusion blow-moulded high density, high molecular weight polyethylene (HDPE) plastic, with attached handles on the 30 litre and 60 litre kegs, for ease of carrying. All kegs come with black lid and galvanised steel ring and latch mechanism, for a secure closure. These open top kegs are food grade and UN certified for hazardous chemicals. They are suitable for powders, granules and pastes and are predominantly used in the food, chemical and agricultural industries, for the likes of: foodstuffs, animal feed, pharmaceuticals, pigments and speciality chemicals. 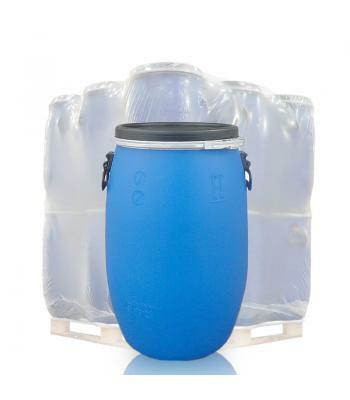 The kegs can be stacked in threes, to save on storage space. This is a range of high quality, robust containers, suitable for a wide range of industrial applications.